During my stay in London this week-end, I’ve went to see the exhibition “Isabella Blow: Fashion Galore! ” organized by the Somerset House, which paid homage to this fashion icon that marked the twentieth century by her eccentricity. Isabella Delves Broughton was born in 1958 and committed suicide on July 7, 2007 by swallowing weedkiller. She died as she lived, in the eccentricity and marginality. “Izzy,” as she was nicknamed, began her carrier as Anna Wintour’s assistant at Vogue U.S. and stand next to Warhol or Basquiat. In 1986, she returned to London to become a stylist for the magazine’s UK edition before ending up at Tatler as fashion director. Considered the godmother of several designers such as Galliano, Hussein Chalayan or some British supermodels, Blow had a smell for hidden talents, as without her, the emblematic house of Alexandre McQueen may have not existed. In 1992, she attends the graduation fashion show of Alexander McQueen, at Central Saint Martins, and falls under the spell of the young designer so much that she buys all of her first collection which launched the carrier of the young McQueen. 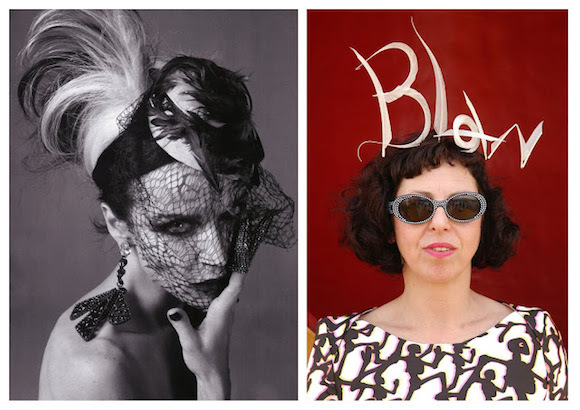 Despite her reputation and status icon, Isabella Blow is remembered as a highly sensitive and unhappy woman. She does not like her body and wears wide cuts clothes to hide her complex as she once said, “If you’re beautiful you don’t need clothes. If you’re ugly like me, you’re like a house with no foundations; you need something to build you up”. She is best known for her spectacular hats, which after though were more like masks behind which she could hide. Blow was a tortured soul and became seriously depressed. She had to deal with money problems, bipolar disorders and illness that lead her to a tragic and abrupt end. The woman will be remembered for her natural sense of style and acute feeling for future fashion directions. 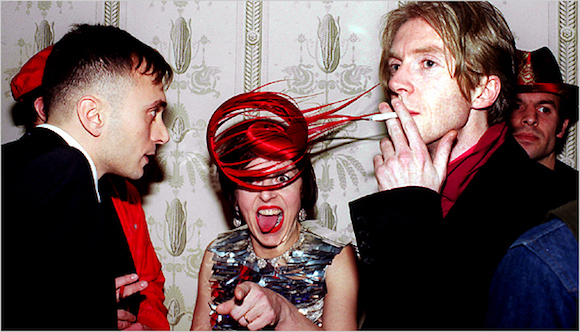 Isabella Blow was truly more than a muse or a boss. She was a spark, an electrical impulse that set imaginations racing, an individual who pushed others to create their best work.